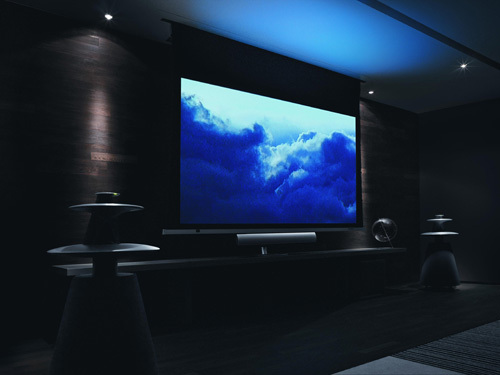 10 Upgrades to your Home Cinema without spending a penny! Great tips for working with what you’ve got. Modern surround soundtracks offer tremendous dynamics, which can stress small speakers. To ensure your speakers are performing within their optimum range, find out their low-frequency cut-off point (shown in Hz). If you’ve thrown away your speakers’ manual, you should be able to find it on the manufacturer’s website. Enter this value in the ‘size’ settings on your surround receiver. The perfect layout of a home cinema would have every speaker equidistant from your seat, but all too often, rear speakers end up being positioned right behind your sofa, which can result in an unbalanced sound. To counteract this, measure the distance from each speaker to your seat and enter each value into your receiver’s delay processing, found in the set-up menu. Buy, I mean borrow, a test tone meter, set it to read 80 dB, and flick the switches to ‘Slow’ response and ‘C’ weighting. Turn on the test tone on your receiver, point the meter straight up, and turn up the main volume until you get a 75dB reading from the front-left speaker. Repeat the process on the other speakers to match that level. Make the room sound bigger and more like a cinema by mounting your speakers high up on the walls, tilted down towards you. For the best punch and clarity line up the center, left and right speakers all at the same height level with your ears when you are seated. Sluggish bass can fit into the overall sound like a foot in a glove so to find the optimum position put your subwoofer next to your seat, and then disconnect your speakers (at the receiver) except for the sub. Play something with a steady bass beat, and walk around your room listening to places it sounds louder. These few places are where you want to position your sub for superior punch and integration. When you buy your TV from a shop, there is usually so much light that all the TVs are tuned to ludicrously high levels of brightness and contrast so as to appear more alluring. When you get it home, you need to turn everything down, (especially considering the next two tips). Contrast should be at 65%, color at 50%, brightness at 45%, and the sharpness controls turned off completely. Use the ‘Optimode’ section on a THX approved disc, these have simple but useful suggestions on how to adjust your picture. If you want to do the job well, invest in, I mean steal, a specialist set-up DVD: AVIA Guide to Home Theater or Digital Video Essentials which are both excellent. 8. Lighting. Get rid of it! No matter if you have a CRT, LCD or plasma, your TV will give a better picture in a darkened room or better yet a properly blacked-out room. Be aware that a smaller screen could strain the eyes in which case position a light behind the screen to counter this. Even if you’d rather watch in a brighter room, avoid putting your screen, so it faces windows or direct lighting. If you don’t have the option of holding all the kit in a remote location or having it concealed in a cabinet, use your remote control to turn off electronic displays on DVD players, AV receivers and so on. Don’t forget to cover up power indicator status lights on subwoofers and power amps as well. Keeping your system dust-free and clean also maintains optimal performance. You can treat interconnect plugs and terminals by dabbing them with cotton wool soaked in isopropyl alcohol (available from your local chemist) to improve audio clarity. Please support my brothers news cleaning business Clean Affinity . They are located in portland, and only use green cleaning!